Library: It is the place Where all the buttons, animations , sounds. videos etc are found. 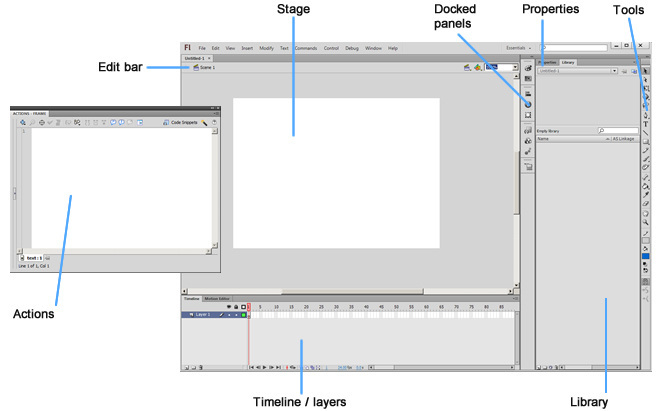 Timeline/ layers :The Timeline in Adobe Flash Professional organizes and controls a document's content over time in layers and frames. The Flash interface as mentioned before can be customized. It should be customized to suite are needs. For eg. What will a flash programmer do with the animations window open? There we need to close the unwanted window.